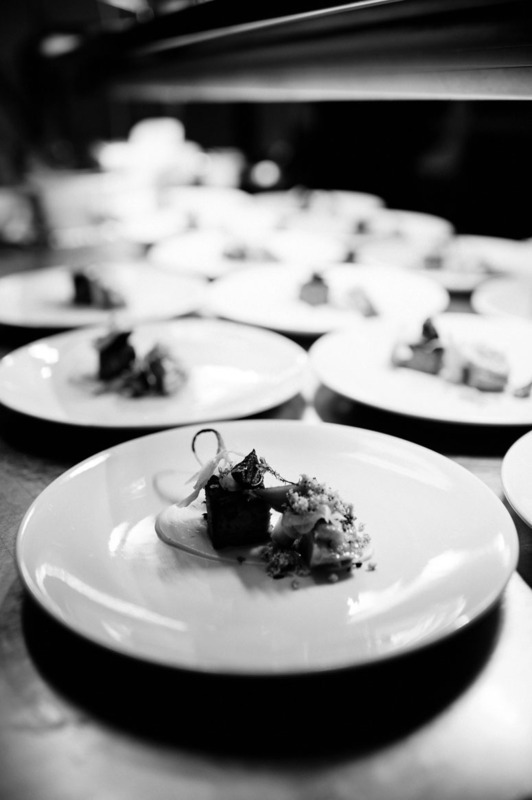 All the food was beautifully and immaculately presented, and embodied the obvious passion for quality food in the kitchen. The textures and combinations of flavours were revelatory, with the subtle hint of truffle in every dish adding to the whole rather than distracting from it. The chefs made this look easy, but we’re sure it’s a delicate balance that’s probably easy to get wrong. 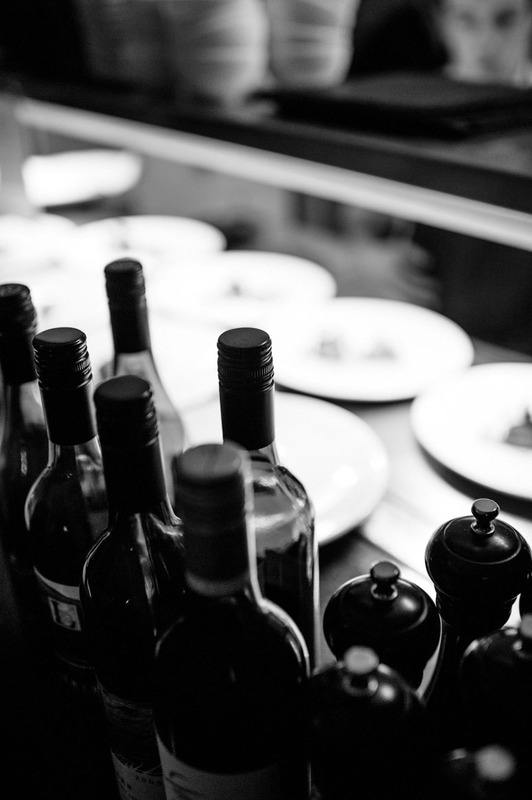 We were pleased to discover that Canberra District and regional wines were being used exclusively with the meals – a real showcase for the region. 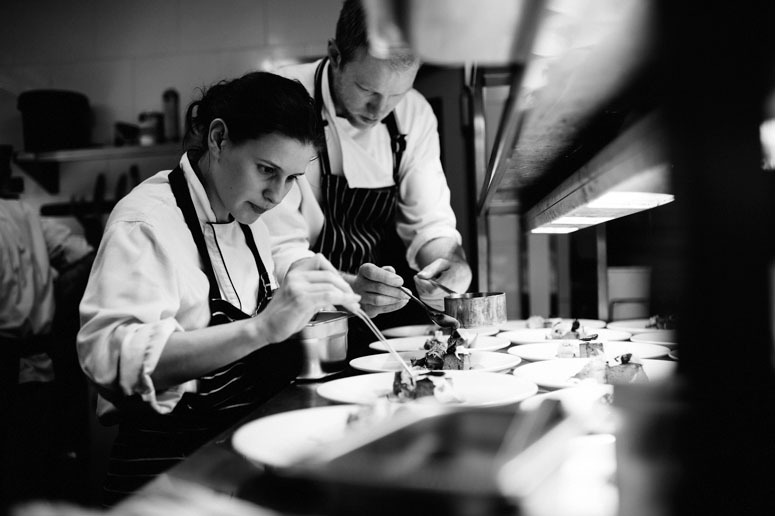 It was obvious that deep consideration had been given to the various combinations, as whilst individually both the meals and the wines were excellent, they joined synergistically in most cases to provide a more memorable degustatory experience. Our favourite combination was the Truffle Infused Majura Valley Free Range Egg with the 2010 Collector Lamp Lit Marsanne (which was also both our favourite wine). 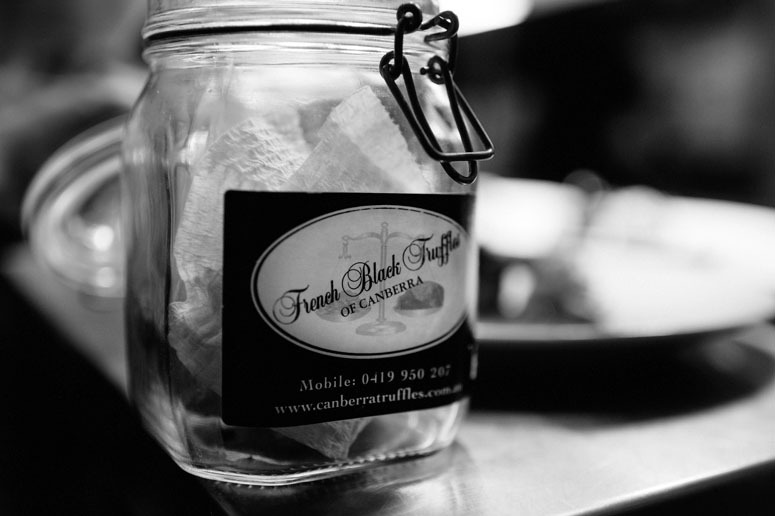 Thanks to French Black Truffles of Canberra owner Sherry McArdle-English, we learned a lot about the production of truffles over the night. 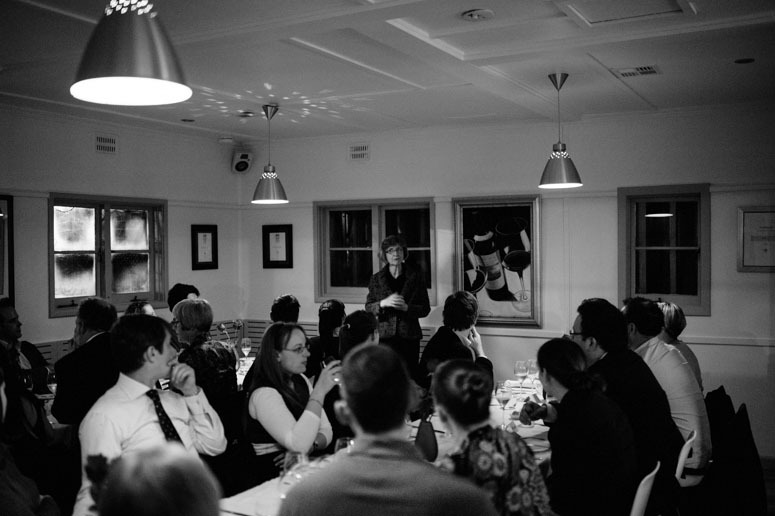 Sherry providing a very entertaining and informative talk about how her and her husband purchased a farm on Mt Majura and entered the truffle industry, as well as all the trials, tribulations and triumphs along the way, of which, it sounds, there has been many. Overall, it was a spectacular, memorable and educational night enjoyed by all, and one the Vinsiders can heartily recommend. 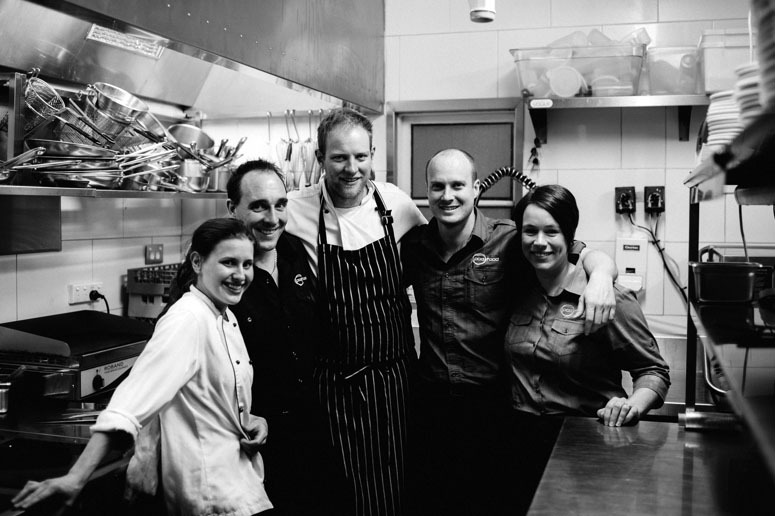 We’d like to thank the crew from Pod, these guys are serious about the best in local produce and wine from the Canberra District. We can’t wait to join them again! Below is a roundup of the nights menu. Full article and detailed tasting notes at http://www.vinsiders.net . Canape. Truffled goats cheese cake, parsnip remoulade, dill. Matching Wine: 2008 Mount Majura Vineyard, “The Silurian” Sparkling Chardonnay/Pinot Noir, Canberra District. $32 Cellar Door. Truffle Poached Scallops. Serrano Ham, artichokes, truffle buerre noisette. Matching Wine: 2012 Eden Road “The Long Road” Chardonnay, Tumbarumba. $24 Cellar Door. Truffle Infused Majura Valley Free Range Egg. Truffle brioche, salsify, walnut, celery. Matching Wine: 2011 Collector Lamp Lit Marsanne, Canberra District. $32 from www. http://www.collectorwines.com.au. Duck Breast and Duck Rillette. Rainbow beets, puffed amaranth, fennel, celeriac. Matching Wine: 2010 Domain Rogha Crois Pinot Noir, Canberra District (Bungendore). $30 from http://www.drcwine.com.au. 300 Day Grain Fed Beef. Truffled Foie Gras, Carrots, Sprouts, Truffle Butter Pastry, Jus. Matching Wine: 2011 Clonakilla O’Riada Shiraz, Canberra District. $36 Cellar Door. Rye Bread and Truffle Ice Cream. Balsamic caramel, local honey labneh. Matching Wine: 2008 Jeir Creek Botrytis Semillon Sauvignon Blanc, Canberra District. $25 Cellar Door.